"Google Cloud CEO Diane Greene announced the decision at a meeting with employees Friday morning, three sources told Gizmodo. The current contract expires in 2019 and there will not be a follow-up contract... The company plans to unveil new ethical principles about its use of AI this week... Google secured the Project Maven contract in late September, the emails reveal, after competing for months against several other “AI heavyweights” for the work. IBM was in the running, as Gizmodo reported last month, along with Amazon and Microsoft... Google is reportedly competing for a Pentagon cloud computing contract worth $10 billion." Many internet users know that Google's business of model of free services comes with a steep price: the collection of massive amounts of information about users of its services. There are implications you may not be aware of. "Should Google, a global company with intimate access to the lives of billions, use its technology to bolster one country’s military dominance? Should it use its state of the art artificial intelligence technologies, its best engineers, its cloud computing services, and the vast personal data that it collects to contribute to programs that advance the development of autonomous weapons? Should it proceed despite moral and ethical opposition by several thousand of its own employees?" These questions are relevant and necessary for several reasons. First, more than a dozen Google employees resigned citing ethical and transparency concerns with artificial intelligence (AI) help the company provides to the U.S. Department of Defense for Maven, a weaponized drone program to identify people. Reportedly, these are the first known mass resignations. Second, more than 3,100 employees signed a public letter saying that Google should not be in the business of war. That letter (Adobe PDF) demanded that Google terminate its Maven program assistance, and draft a clear corporate policy that neither it, nor its contractors, will build warfare technology. "We wholeheartedly support their demand that Google terminate its contract with the DoD, and that Google and its parent company Alphabet commit not to develop military technologies and not to use the personal data that they collect for military purposes... We also urge Google and Alphabet’s executives to join other AI and robotics researchers and technology executives in calling for an international treaty to prohibit autonomous weapon systems... Google has become responsible for compiling our email, videos, calendars, and photographs, and guiding us to physical destinations. Like many other digital technology companies, Google has collected vast amounts of data on the behaviors, activities and interests of their users. The private data collected by Google comes with a responsibility not only to use that data to improve its own technologies and expand its business, but also to benefit society. The company’s motto "Don’t Be Evil" famously embraces this responsibility. Project Maven is a United States military program aimed at using machine learning to analyze massive amounts of drone surveillance footage and to label objects of interest for human analysts. Google is supplying not only the open source ‘deep learning’ technology, but also engineering expertise and assistance to the Department of Defense. According to Defense One, Joint Special Operations Forces “in the Middle East” have conducted initial trials using video footage from a small ScanEagle surveillance drone. The project is slated to expand “to larger, medium-altitude Predator and Reaper drones by next summer” and eventually to Gorgon Stare, “a sophisticated, high-tech series of cameras... that can view entire towns.” With Project Maven, Google becomes implicated in the questionable practice of targeted killings. These include so-called signature strikes and pattern-of-life strikes that target people based not on known activities but on probabilities drawn from long range surveillance footage. The legality of these operations has come into question under international and U.S. law. These operations also have raised significant questions of racial and gender bias..."
I'll bet that many people never imagined -- nor want - that their personal e-mail, photos, calendars, video, social media, map usage, archived photos, social media, and more would be used for automated military applications. What are your opinions? "... plans to reduce its headcount in 2018 from 1,254 employees to fewer than 1,000. It also plans to exit the drone market and reduce CEO 2018 compensation to $1... Last week TechCrunch reported exclusively on the firings with sources telling us several hundred employees were relieved of duties though officially kept on the books until the middle of February. We were told that the bulk of the layoffs happened in the engineering department of the Karma drone... Though GoPro is clearly done producing the Karma drone, it says it intends to continue to provide service and support to Karma customers." Reported, the earnings announcement by GoPro expected fourth quarter revenues of $340 million, down 37% from 2016. At press time, the "Shop Now" button for Karma drones was still active. It seems the company is selling off its remaining drone inventory. "The UN recently voted to begin formal discussions on such weapons which include drones, tanks and automated machine guns... In their letter, the [experts] warn the review conference of the convention on conventional weapons that this arms race threatens to usher in the “third revolution in warfare” after gunpowder and nuclear arms... The letter, launching at the opening of the International Joint Conference on Artificial Intelligence (IJCAI) in Melbourne on Monday, has the backing of high-profile figures in the robotics field and strongly stresses the need for urgent action..."
"Once developed, lethal autonomous weapons will permit armed conflict to be fought at a scale greater than ever, and at timescales faster than humans can comprehend. These can be weapons of terror, weapons that despots and terrorists use against innocent populations, and weapons hacked to behave in undesirable ways." "We do not have long to act. Once this Pandora’s box is opened, it will be hard to close." "Samsung’s SGR-A1 sentry gun, which is reportedly technically capable of firing autonomously but is disputed whether it is deployed as such, is in use along the South Korean border of the 2.5m-wide Korean Demilitarized Zone. The fixed-place sentry gun, developed on behalf of the South Korean government, was the first of its kind with an autonomous system capable of performing surveillance, voice-recognition, tracking and firing with mounted machine gun or grenade launcher... The UK’s Taranis drone, in development by BAE Systems, is intended to be capable of carrying air-to-air and air-to-ground ordnance intercontinentally and incorporating full autonomy..."
Ban, indeed. Your thoughts? Opinions? Reaction? "British Airways Flight BA727 from Geneva, Switzerland, was coming in to land at London's Heathrow Airport when the pilot said he thought a drone had struck the front of the aircraft, London Metropolitan Police said." During the drone strike, the plane was descending and at an altitude of about 1,700 feet. The plane landed safely and no passengers were injured. Officials inspected the plane and found no damage. Government authorities are investigating. They do not know who operated the drone, nor the type of drone. So far, officials haven't found any debris from the drone, during a land search. In the United Kingdom, as in the United States, drone operators are supposed to operate their drones within flight restrictions (e.g., 400-foot maximum altitude, not near airports). The trouble is enforcement. There doesn't seem to be any way for government authorities to enforce the restrictions. 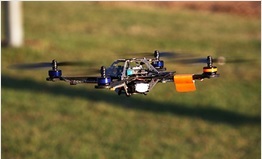 "Anyone who owns a small unmanned aircraft that weighs more than 0.55 lbs. (250g) and less than 55 lbs. (25kg) must register with the Federal Aviation Administration's UAS registry before they fly outdoors. People who do not register could face civil and criminal penalties... The owner must be: 13 years of age or older...A U.S. citizen or legal permanent resident." How is this enforced when anyone can walk into a retail store and buy a drone (or order one online)? "A recent report, based on the center's analysis of Federal Aviation Administration data from August 21, 2015 to January 31, 2016, said there were 519 incidents involving passenger aircraft and unmanned drones in the U.S. within that period." Last year, U.S. Senator Chuck Schumer (Democrat-New York) proposed an amendment to Federal Aviation Administration Re-authorization bill to require all remote-controlled aircraft sold in the United States to have tracking mechanisms installed. The mechanisms would use geo-fencing technology to keep drones away from high-value targets, such as airports, major parades, the Pentagon, major sporting events, and sports stadiums. Drones have many valid uses, including faster, easier safety inspections of infrastructure, such as bridges, residential roofs, towers, and stacks; plus commercial package delivery. While drone pilots have been required to register with the FAA since December, there are still many unregistered operators. The Heathrow drone strike could have had a very different result. It seems the drone bounced off the plane's metal exterior. A strike that punctures a windshield, or damages an engine, could produce a different outcome. Once terrorists figure out the security hole with drone flight enforcement, you can bet they will test security limits. Heaven forbid terrorists pack explosives on larger drones and successfully fly them into a commercial airliner. If this happens, the travel industry will take a huge economic hit as consumers fly less often; or stop flying altogether (and takes trains or buses). Related tourism industries and locations would also be affected economically. People will lose jobs. A more sensible approached would have been to have put in place drone flight rules combined with effective enforcement processes before allowing consumers to purchase drones. One could argue that limits also apply. 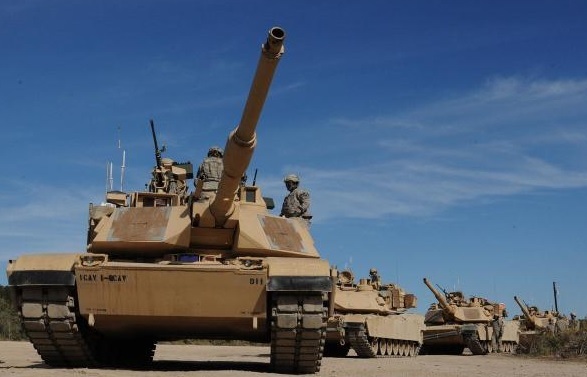 Consumers cannot buy an M1A2 Abrahms battle tank or a howitzer cannon. Maybe consumers should not be able to buy drones until effective enforcement and safety processes are in place first. Last year, a person installed and fired a handgun on his drone. If this bothers you (and I sincerely hope that it does), tell your elected officials. What are your opinions of drones safety? "The case made it all the way to the Supreme Court in 1946. And one result of United States v. Causby was that the Court set the limits of private airspace: If you own a house, your property rights extend 83 feet up into the air... the 70-year-old ruling has new importance in the age of drones. It remains the only clear federal statement of law on how far above the ground your property ends..."
Basically, the Federal Aviation Administration (FAA) is responsible for setting rules and enforcement. Drones (also referred to as unmanned aircraft) have many valid uses, including faster, easier safety inspections of infrastructure, such as bridges, residential roofs, towers, and stacks; plus commercial package delivery. Thankfully, drone pilots have been required to register with the FAA since December. "... EPIC wants the FAA to make it easy for citizens to find out whether drones flying overhead have surveillance capabilities. The group also wants to protect the privacy rights of drone pilots..."
"... existing nuisance and invasion-of-privacy statutes would apply to drone owners. If you could prove you were being harassed by a drone flying over your house, or even that one was spying on you from afar, you might have a case against the drone operator. 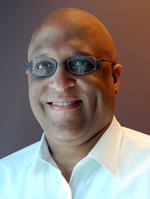 But proof is difficult to obtain... and not everyone agrees on how to define harassment." "A law proposed by Massachusetts Senator Ed Markey, the Drone Aircraft Privacy and Transparency Act, would require the agency to ensure baseline privacy and transparency safeguards, which would apply to both private drone operators and law enforcement. The ACLU, which supports the Markey bill, argued as far back as 2011 that a lack of oversight could lead to excessive surveillance by law enforcement using drones." Can You Legally Shoot Down a Drone Hovering Over Your Property? There are plenty of smart devices you can buy online or in retail stores for your smart home: smart televisions, home audio speakers, fitness bands, smart watches, light switches, talking dolls and toys, smart home thermometers, cars with GPS and sensors, drones, and much more. And, your utility company probably uses smart meters to transmit via wireless your usage, instead of paying technicians to visit your home. Many or most of these devices have hands-free voice controls. That feature provides a huge convenience, but along with it comes the privacy threat that it can (or does) record everything you say... whether you intend it for the device or not. "You may never know for sure. At best, you can hope the company keeps its promises on privacy. More important, you have to trust that its computer systems are really secure, or those promises are suddenly worthless. That part is increasingly difficult to guarantee — or believe — as hacking becomes routine." "Every technological benefit comes with a cost in the form of a threat to privacy. Yet not paying that price has its own cost: an inability to participate in some of technology's greater achievements." There has to be a better way. Consumers should not have a to choose between giving up privacy in order to use smart devices versus living under a rock without smart devices to maintain privacy. What are your opinions? "The FAA reported 52 instances of pilots spotting drones in June and July 2014, but the rate of such sightings has risen to 275 in June and July 2015, the senator said. Schumer said he fears a drone may eventually be sucked into the engine of a plane or otherwise collide with aircraft." This blog reported in August about two near misses in New York. For safety, U.S. Senator Chuck Schumer (Democrat-New York) proposed an amendment to Federal Aviation Administration Re-authorization bill to require all remote-controlled aircraft sold in the United States to have tracking mechanisms installed. The mechanisms would use geo-fencing technology to keep drones away from high-value targets, such as airports, major parades, the Pentagon, major sporting events, and sports stadiums. "Unmanned aircraft systems are neither supposed to fly within five miles of an airport without notifying the airport operator and control tower nor are they supposed to go above 400 feet." "The House Transportation and Infrastructure Committee has delayed plans to release its proposed FAA reauthorization legislation. That occurred after the House majority leader informed the committee that consideration of the FAA reauthorization bill has been moved to September. The current FAA authorization expires Sept. 30. It was put into place after an agonizing 23 short-term extensions that stretched from September 2007 to February 2012. While some lawmakers had promised that wouldn’t happen with this reauthorization, a short-term extension of the authorization may be needed while lawmakers pound out the final bill." I agree. What are your opinions? "A New Jersey resident who shot down a neighbor’s drone was arrested and charged with possession of a weapon for an unlawful purpose and criminal mischief. After a Californian shot down a neighbor’s drone thinking “it was a CIA surveillance device, ”the drone’s owner won a suit in a small claims court that found the man “acted unreasonably... regardless of whether it was over his property or not." "
Last month, a Kentucky homeowner was arrested after shooting down a camera-equipped drone that hovered directly over his property while his teenage daughter sunbathed in the back yard. You might think that the case should have favored the homeowner, but it didn't. Why? Keep reading. "... unlike pedestrian trespass, your options for removing drones from your property are limited. More troubling is this: How do you know when a drone is truly threatening? As Michael Froomkin, a professor at the University of Miami School of Law, writes, neither the law nor technology has developed far enough to clarify what constitutes a threat and what measure of self-help is appropriate." "Ryan Calo, a professor at the University of Washington School of Law, writes, “[T]he lack of a coherent mental model of privacy harm helps account for the lag between the advancement of technology and privacy law.” But not so in criminal law, where tough-on-crime mania routinely drives quick application of broadly phrased statutes to new contexts." "Fly below 400 feet and remain clear of surrounding obstacles; Keep the aircraft within visual line of sight at all times; Remain well clear of and do not interfere with manned aircraft operations; Don't fly within 5 miles of an airport unless you contact the airport and control tower before flying; Don't fly near people or stadiums; Don't fly an aircraft that weighs more than 55 lbs; Don't be careless or reckless with your unmanned aircraft – you could be fined for endangering people or other aircraft"
How close is "near" -- 3 feet, 30 feet, 30 yards? That seems vague. Nor do the rules mention privacy, so i guess it is legal to film anyone without consent. And, I guess you can modify your recreational drone with any attachment, as long as you stay under the 55-pound limit. Some people have used drones to record natural sights, such as a volcano and lava river, that would be too dangerous to record otherwise. Some local governments have used drones to inspect building rooftops after snowstorms for damage or collapse risks. Other local governments want to use camera-equipped drones to inspect structures, such as bridges, that otherwise would be costly or inaccessible. Both make sense. There already are film festivals for drone operators. The New York City Drone Film Festival debuted in March, and the Flying Robot International Film Festival is scheduled for November 19. Some consumers have already used drones to record landmarks such as the Golden Gate Bridge near San Francisco. Predictably, one recreational drone crashed into the bridge's roadway. While it didn't cause a traffic accident, the risk is there. I'd hate to think that legislators waited until a catastrophe before taking action. Does this bother you? I hope so. Contact your elected officials and demand updated, effective drone laws that protect both your safety and privacy. "Two airplanes flying near one of the nation's busiest airports each came within 100 feet of a drone on Friday, according to audio from each flight's radio calls. The first, JetBlue Flight 1843, reported spotting a drone at 2:24 p.m. while approaching John F. Kennedy International Airport, according to the Federal Aviation Administration. In the audio recording, the cockpit says that the drone passed just below the planes nose when the jet was flying at an altitude of about 800 to 900 feet." "Then at about 5 p.m., Delta Flight 407 -- which had 154 people on board -- was preparing to land when the cockpit reported seeing a drone below its right wing. The Delta flight had its drone encounter near Floyd Bennett Field, located in Gateway National Recreation Area. A Gateway National Recreation Service park ranger told CNN that the field does not permit drone flying but many aviation enthusiasts can be found flying "radio-controlled propeller crafts and unmanned small jets." However, there is a space within Floyd Bennett field where people with a permit and members of an aviation club may fly their own small craft, the ranger said." Unmanned aircraft systems are neither supposed to fly within five miles of an airport without notifying the airport operator and control tower nor are they supposed to go above 400 feet." "William Meredith, 47, of Bullitt County, Ky., was arrested after he used his shotgun to bring down a drone that he said hovered above his property in Hillview, a suburb of Louisville..."
"Police were called to the scene; Meredith now faces felony charges of wanton endangerment and criminal mischief, with a court date set for September. The drone's owner, David Boggs, says the drone wasn't hovering low over anyone's property, showing flight tracking data to local media that indicates an altitude of more than 250 feet. And he says he wasn't trying to invade anyone's privacy." The FAA began investigations in November last year after reports of rogue drones outfitted with cameras at large, outdoor sporting events... college football stadiums. "... warned that unmanned aircraft systems (UAS) or drones could be used in the U.S. to advance terrorist and criminal activities... According to federal officials, "The rising trend in UAS incidents within the National Airspace System will continue, as UAS gain wider appeal with recreational users and commercial applications." The bulletin goes on to say, "while many of these encounters are not malicious in nature, they underscore potential security vulnerabilities... that could be used by adversaries..."
During an interview on the 60 Minutes television show, Amazon.com CEO Jeff Bezos disclosed a test plan -- called Prime Air -- for the online retailer to use drones to deliver packages to its customers. The plan is years away, doesn't have approvals by the Federal Aviation Administration (FAA), and would deliver packages to customers only within 10 miles of a fulfillment center. Regardless, the news meda is on fire with reports -- many with photographs and video of the drones, also called UAVs (Unmanned Aerial Vehicles): Associated Press, Bloomberg, CNBC, CNN, CNet, Huffington Post, PSFK, the New York Times, and countless others. Almost immediately, some satire images appeared online. "Bezos says that Amazon is on its 7th generation of fulfillment centers. The public never heard much about those seven evolutions because they were all invisible, all back-end optimizations, all techy algorithmic stuff. Amazon’s service kept getting better in the form of faster delivery times... But drone delivery is a different kind of evolution. It’s visibly and behaviorally disruptive. And, as a marketer, Bezos wisely sees the need to start softening up the consumer market well in advance of these devices even being legal. Because he likely understands that there will be several critical phases to the public’s ultimate adoption of this technology, and each phase will take time." The Forbes article emphasized the calculation Amazon has made: it is cheaper to let the news media normalize a new, disruptive technology rather than pay for the large amounts of advertising necessary. Others reported that the announcement coincides with Cyber Monday, and may have garnered for Amazon.com as much as $3 million in free advertising. "Some weary of the use of unmanned aircraft have already pledged to shoot them down... there are more subtle ways to take down a small electric octocotper, including nets, even “mist nets”–virtually invisible nets used to catch or control birds–that would allow everybody from protesters to simple thieves to stop a delivery. And of course there is probably a hacker or two who would like to tackle the problem." Besides military usage of drones for both warfare and cargo delivery, a wide variety of institutions want to use drones domestically: local police departments, journalists, paparazzi, movie studios, farmers, colleges and universities, and the National Guard (for rescues). FAA Administrator Michael Huerta predicted that there could be as many as 7,500 commercial drones in U.S. airspace within the next five years. So, there needs to be laws and guidance, about who can (and cannot) possess and operate drones; plus where and under what conditions. TechCrunch discussed the three major limitations of drones: technical, privacy, and poor judgement by operators. We've all experienced crazy automobile drivers on the roads. Now, imagine the skies filled with drones controlled by crazy operators. Similar to driver's licenses, some experts say drone operator's licenses are likely. "Drones are capable of highly advanced and almost constant surveillance, and they can amass large amounts of data. They carry various types of equipment including live-feed video cameras, infrared cameras, heat sensors, and radar. Some newer drones carry super high resolution “gigapixel” cameras that can “track people and vehicles from altitudes above 20,000 feet... Predator drones can eavesdrop on electronic transmissions, and one drone unveiled at DEFCON last year can crack Wi-Fi networks and intercept text messages and cell phone conversations... some have suggested that drones carrying weapons such as tasers and bean bag guns could be used domestically." "According to a July 15, 2010 FAA Fact Sheet (PDF), “[i]n the United States alone, approximately 50 companies, universities, and government organizations are developing and producing some 155 unmanned aircraft designs.” According to one market research firm, approximately 70% of global growth and market share of unmanned aircraft systems is in the United States (PDF)." 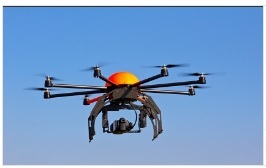 "The FAA is way behind the curve.. Drone experts are not optimistic for a 2015 deadline." It is just a little over a year away... and they don't even have the test sites named, much less the framework laid out." Discovering the entities that already use drones domestically is difficult. Disclosure rules are weak or nonexistent. No doubt, there will be plenty more discussions about drones.